On the Opal Coast (Côte d'Opale), Grand-Fort-Philippe is located in the south of Dunkirk. It is a former fishing village at the mouth of the River Aa. At the seaside you will find a sandy beach lined with dunes, next to a protected natural area that is home to many birds. In Grand-Fort-Philippe enjoy a seaview holiday rental. 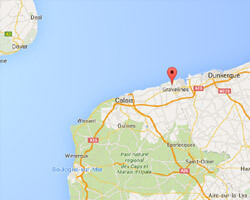 The house is located on the port of Grand-Fort-Philippe, facing the beach of Gravelines, lively seaside resort. 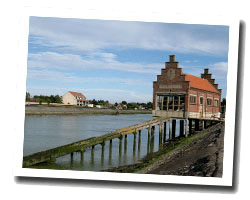 Ideal starting point to visit the region: Gravelines, Calais, Dunkerque, Lille. Wissant and Wimereux, Cap Blanc Nez and Cap Gris Nez are close by. You can also spend the day in England or Belgium. 5 Bedroom(s), 3 double bed(s). Final cleaning : 60 €.